Coast Rubbish Removal Gold Coast have been servicing Queensland’s Gold Coast for over 16 years with an affordable Rubbish Removal Service. Trevor Brooks and his team will come to your house, hi-rise, shop or commercial property and hand load your rubbish onto their truck and take it away for recycling or disposal. No messy Skip Bins, lifting heavy items or getting dirty. Trevor and the team do it all for you at surprisingly low rates. They will even safely remove and dispose of asbestos. 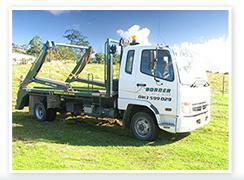 Servicing all Gold Coast and Tweed suburbs (see below) Coast Rubbish Removal Gold Coast have established a reputation for courtesy and service which is the envy of their competitors. Whether it’s a yard cleanup, a builders site, end of lease clear out. commercial waste or just cleaning out all the rubbish and old furniture from your home Coast Rubbish Removal are the people to call. Gold Coast, Tweed Coast, Palm Beach, Alberton, Currumbin, Worongary, Waters, Pimpama, Varsity Lakes, Broadbeach Waters, Norwell, Surfers Paradise, Maudsland, Carrara, Clear Island Waters, Southport, Tallebudgera, Merrimac, Austinville, Broadbeach, Robina, Currumbin Valley, Mermaid Waters, Benowa, Bonogin, Springbrook, Ormeau Hills, Reedy Creek, Lower Beechmont, Guanaba, Main Beach, Natural Bridge, Tallai, Hollywell, Hope Island, Tweed Heads, Clagiraba, Ashmore, Wongawallan, Cedar Creek, Woongoolba, Gilberton, Molendinar, Ormeau, Jacobs Well, Arundel, Pacific Pines, Miami, Kingsholme, Labrador, Numinbah Valley, Mount Nathan, Upper Coomera, Bilinga, Oxenford, Paradise Point, Palm Beach, Coolangatta, Biggera, Luscombe, Highland Park, Nerang, Burleigh Heads, Coombabah, Stapylton, Bundall, Mermaid Beach, Currumbin Waters, Runaway Bay, Elanora, Mudgeeraba, Tugun, Coomera, Yatala, Gaven, Willow Vale, Gilston, Advancetown, Helensvale, Tallebudgera Valley, Parkwood, Burleigh Waters.